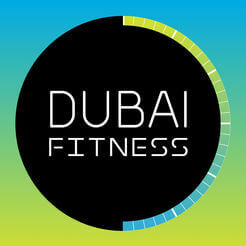 “Dubai Fitness Challenge” or “DFC” means a 30 day fitness initiative taking place in Dubaifor participants located in the United Arab Emirates; and. “Dubai Tourism”, “We”, “we”, “our” or “us” means Department of Tourism and Commerce Marketing and its affiliates, including, but not limited to, Dubai Festivals and Retail Establishment, Dubai Corporation for Tourism and Commerce Marketing, Dubai Business Events and Dubai Calendar. both of which have been created and are supported by our technology solution provider. Our Website and our Mobile Application shall together be referred to as “our Platforms“. You may only access and use our Platforms if you are over the age of 13 years. If you are under the age of 18 years, by accessing and using our Platforms, you confirm that you have consent from a parent or guardian to do so. Our Platforms are provided by us on an “as is” and “as available” basis, and we are not responsible for the accuracy of any information provided, including without limitation class schedules and events. use of or reliance on any content of websites linked to our Platforms. The techniques, strategies, and suggestions expressed or linked to on our Platforms that are related to the Dubai Fitness Challenge (including sample work-outs and exercise and diet programs) are not the opinions or advice of Dubai Tourism. The information on our Platforms may not have been provided by certified nutritionists or doctors and the information should not be treated as professional or medical advice. The information on our Platforms is not medical advice and does not diagnose, prescribe or treat any disease, condition, illness or injury. Activity(ies) or event(s) featured on our Platforms may not be suitable for you or your family and Dubai Tourism does not advise on the suitability or unsuitability of such activity(ies) or event(s). It is important that before beginning any nutrition or exercise program, or taking part in any activity or event, you are in a suitable physical condition and that you consult your physician and, if you are under the age of 18 years, are taking part under the supervision of a parent or guardian. Dubai Tourism shall not be liable or responsible to any person or entity for any injury, loss, or damage caused or alleged to be caused directly or indirectly as a result of the use or interpretation of the material, or from taking partin any activity or event, featured on our Platforms. Dubai Tourism shall not be liable for the actions, omissions, or advice of any third party that has been introduced by Dubai Tourism to participants as part of the Dubai Fitness Challenge.